As you type with your iPhone’s keyboard, standard plain text characters appear on the screen, but that’s not always enough if you’re a heavy Emoji user. To insert Emojis, you need to visit the Emoji keyboard and tap on them manually, while the predictive keyboard suggests relevant Emoji from time to time. Nevertheless, it won’t automatically-insert them for you. 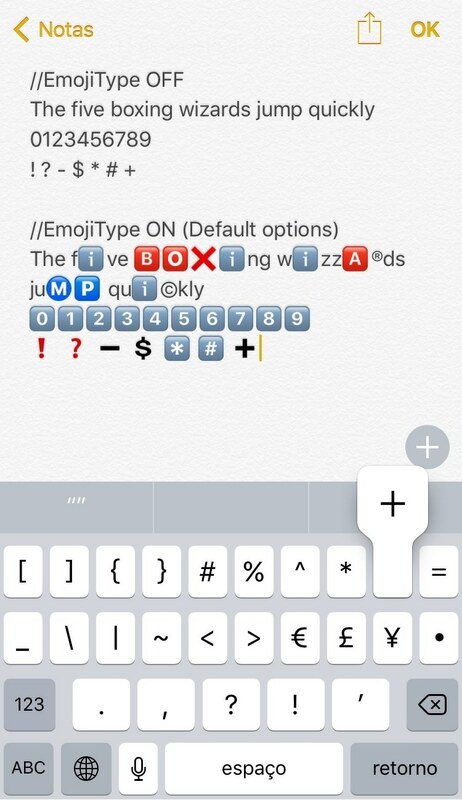 If you wish things worked a little differently, then a new free jailbreak tweak called EmojiType by iOS developer Adriano Junior is now available that automatically replaces certain text characters with relevant Emoji characters. The tweak works seamlessly with your typing experience in iOS to make this happen. It supports a plethora of characters out of the box, including numbers, some letters, and a whole host of punctuation symbols, among other things. A conveniently-placed respring button is included in the preference pane, which is useful since a respring is required to save your changes. From now on, when typing supported characters on the keyboard, they’ll appear as Emojis instead. You can disable the tweak if you need to type without Emojis for any reason, but if you’re casually texting people, it shouldn’t make a difference. If you’re trying to type a website URL or something like that, then you might want to disable it. Worthy of note, Emojis are universal, so other people will see your Emojis whether they’re jailbroken or not when you use EmojiType. Even those using a different mobile operating system, like Android, can see your Emojis. If you’re interested in giving EmojiType a try, it can be had for free from Cydia’s BigBoss repository. The tweak works on jailbroken iOS 10 devices. Do you like having your primary text replaced with Emojis automatically? Share why or why not in the comments section below!